A friend sent these photos in an email. Just take a look at this WHY 58X38, built by Wally Hermes Yachts. It is conceived for those who have all the time and not a care in the world. 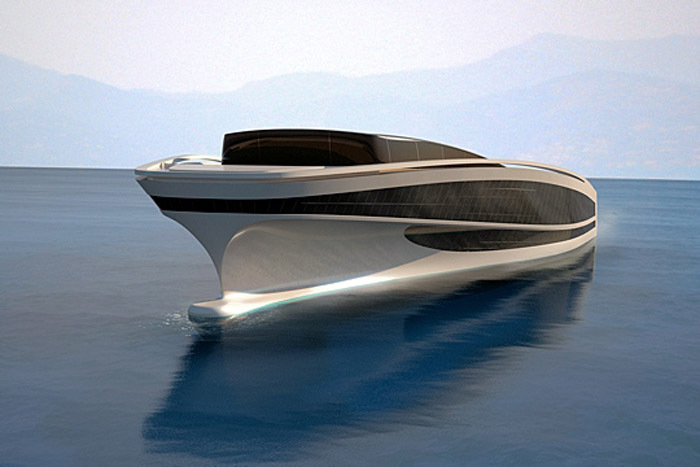 To watch a video of this magnificent beauty, featured at the 2010 Abu Dhabi Yachts Show (who else could afford this? ), and the people who dreamed her into reality, click here. Wally Hermes Yachts of Paris, a famous French shipbuilding company designed and built this yacht with enormous dimensions: the WHY 58x38 measures 58 (190 feet) meters long and 38 meters (124 feet) wide. 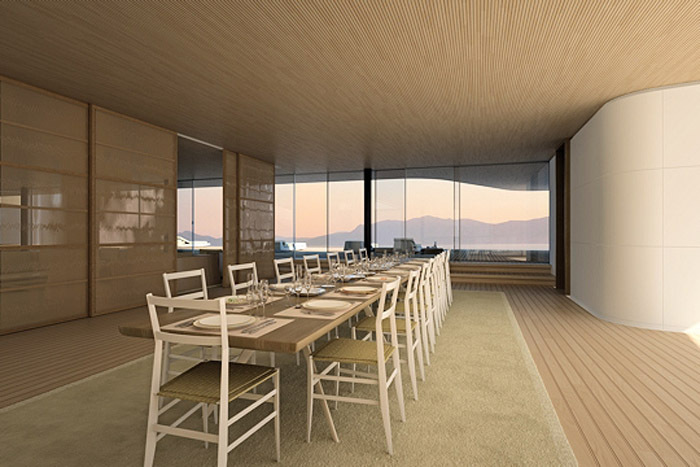 The yacht accommodates 12 passengers and 20 member crew. 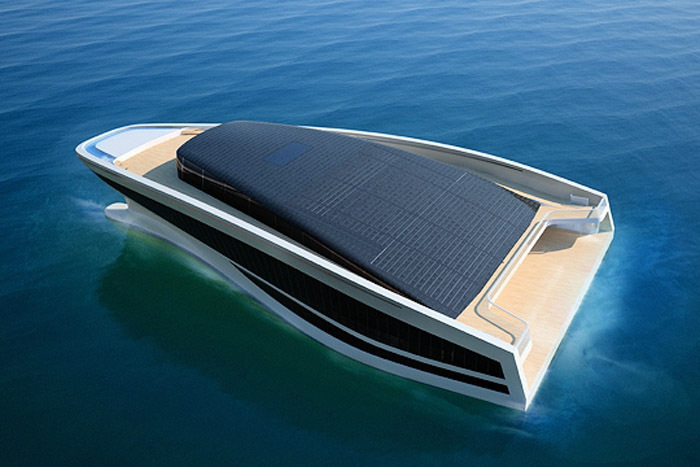 Wally et Hermès use green energy to 20 to 30% fuel savings and 40 to 50% electricity consumption on board. Therefore there are 900 m2 equipped with solar panels, producing a daily output of 500 kW. equipment. Cruising speed is 12 knots. 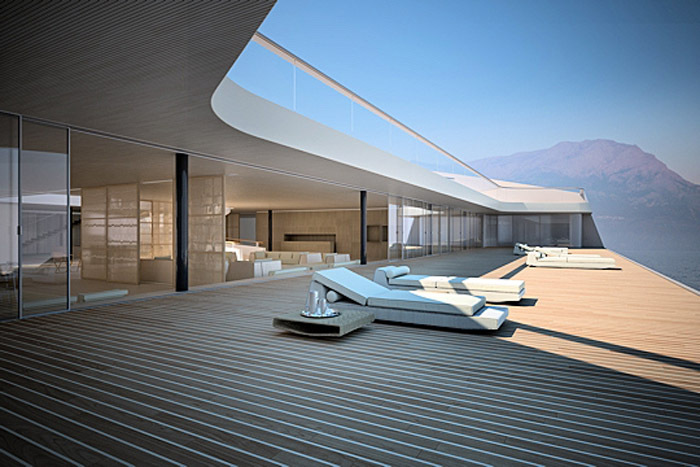 Three decks, a 25 meter thermo-regulated pool, spa, helipad, sauna, gym, massage room, 130-meter promenade, music room, dining room, cinema, sun decks, suites, terraces, lounge, and library. 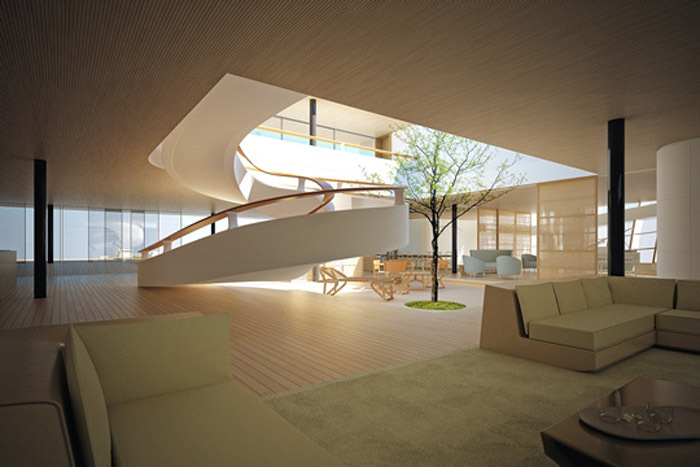 With an area of 200m2, the owner's space completely covers the third deck. 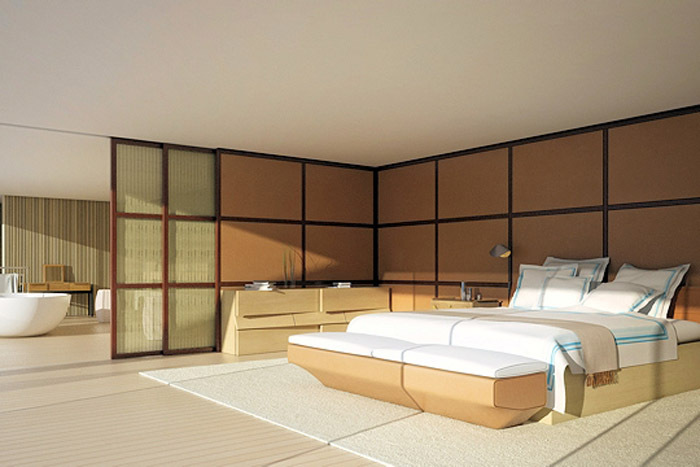 (This is the bedroom) The sea view is great with a private terrace 25 meters long. 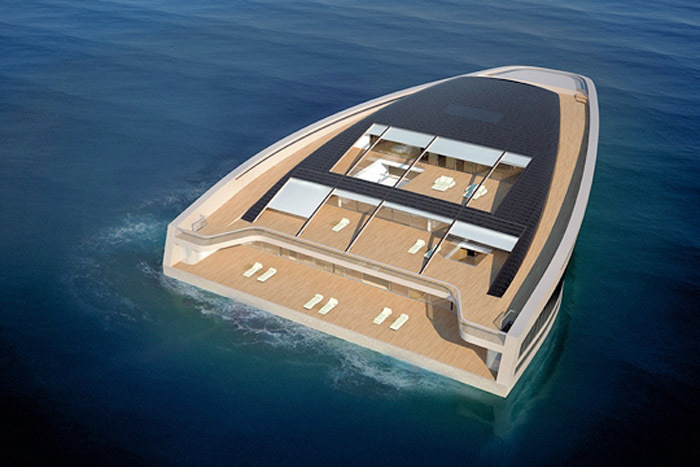 The yacht is shaped like a horseshoe with retractable roof so everything is bathed in a sea of light. The Salon. 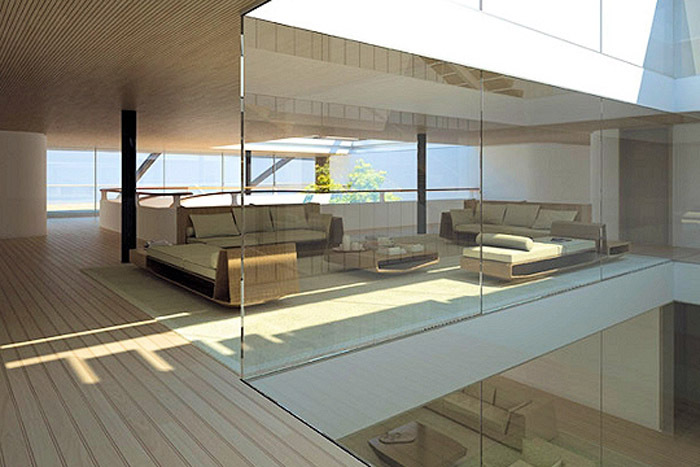 On the lower deck are the common areas, such as lounge, piano bar and dining area. 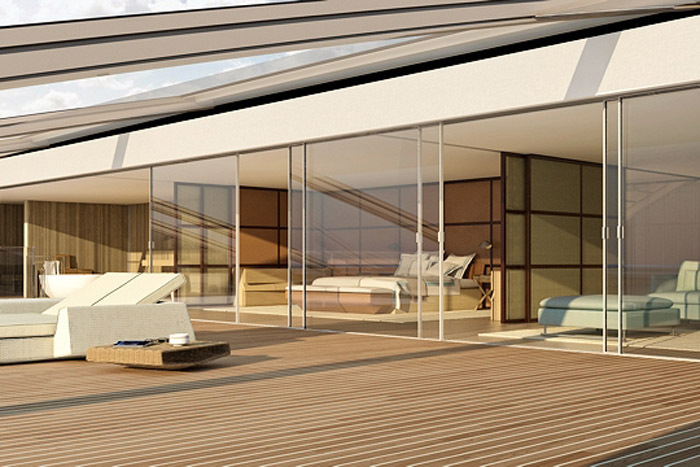 For the guests, five suites with sea views (on the middeck). It all looks great until hurricane season! 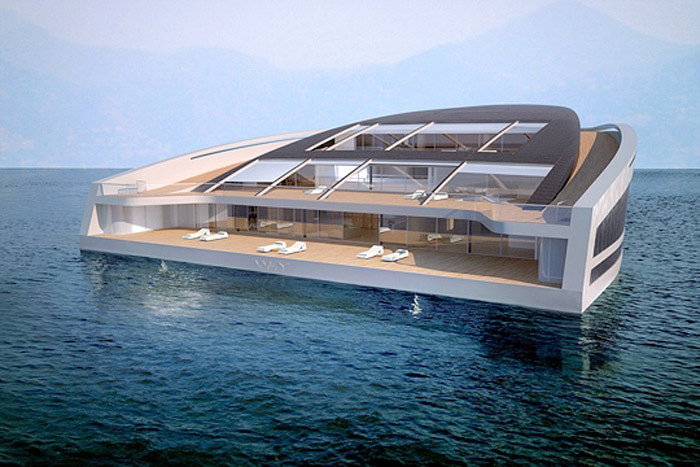 Looks amazing, but what if you have a tendency to seasickness?